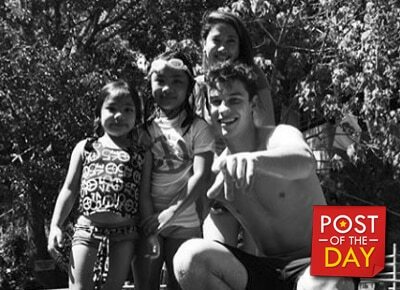 Canadian singer and songwriter Shawn Mendes arrived in the Philippines days before his concert at the Mall of Asia this weekend. He shared photos of him enjoying the summer weather and even tried buko (coconut) juice. He also posed with the local kids at a resort. The boys in The Philippines!